We live in a market of supply and demand. If the supply and demand find each other, that's ok. But what if it won't? Suppose you have an issue with your plumbing or central heating boiler. Whom should you call? The answer is probably a hard nut to crack. Such a shame, as there are plenty of handymen out there who like to offer help. 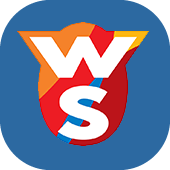 DTT is busy with a mobile app called Warmteservice, a job platform where the job seeker can easily find the job supplier. Warmteservice specializes in the sphere of boilers, radiators, underfloor heating, plumbing, roofing, fittings and electricity. 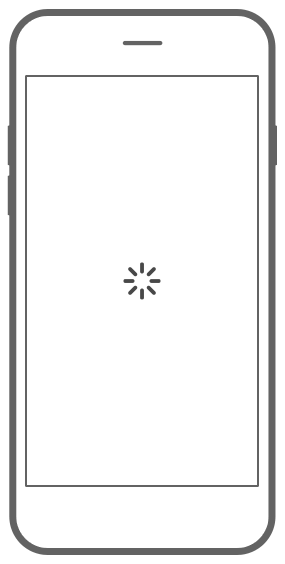 The Warmteservice app is an extension and further development of Kluscontact.nl. Currently, this is a suitable platform for web. 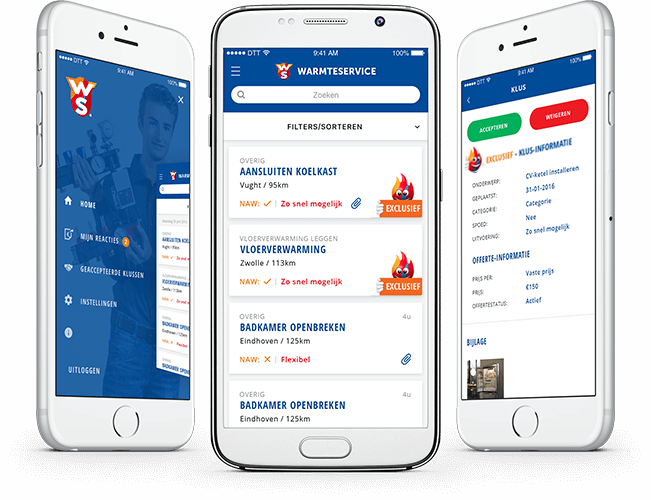 DTT is responsible for developing the mobile application targeting the handyman. The assignments which users place on Kluscontact, will be automatically linked to the handymen who are associated with Warmteservice. The first version of the app focuses on mechanics. Mechanics are now able to quickly respond on incoming orders and jobs via their smartphone. And consumers who place an order get a quick answer. More Warmteservice? Visit the website. The handyman has an overview of all the assignments in an organised manner. Specially for members of Kluscontact: an exclusive range of jobs. Additional information about the task. The handyman can react to assignments with his ideas or questions. Accept the (top) task and close it afterwards. Handymen can bid for the offered job. Comments can be archived when they are no longer relevant. "Together with DTT we have developed a native iOS and Android app for our b2b customers. 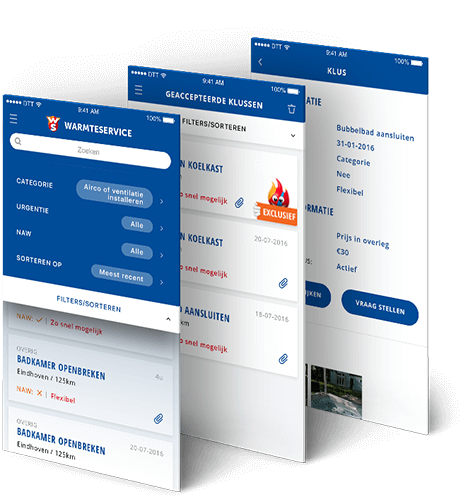 With this app they can respond to assignments that individuals have placed on our Kluscontact.nl platform. We developed an API ourselves that communicates with the app. At DTT they always fulfil their promises. Beforehand they clearly informed and advised us about various options related to native or non-native app. They also took into consideration all interactions and potential complexities that come with these options. The app is now live and our customers are very satisfied with it."